Fall is finally here, and while we’re more than ready to embrace crisp air, cozy sweaters and pumpkin spice, we’re already missing our unhurried summer days. Depending on where you live, summer heat has lingered quite a bit this year, but with school in full swing and routines hammered down, few of us can find moments of peace and relaxation. One way to hold onto that summer feeling, while we still can? A late afternoon or early evening date with your little ones – outside! An impromptu picnic at the park, on your balcony, or in the backyard (weather permitting) is a fun and easy way to reset after an especially long day. Depending on the ages of your kids, those magical hours between 4pm and 6pm coincide with a flurry of dinner prep, homework, boredom/cabin fever, or some chaotic combination of the three. School-aged or not, everyone could use a little outdoor pick-me-up in those pre-dusk hours. We’re all for enjoying snacks, books, and yes, even studying for tests under the canopy of a tree — when it’s not hot, not cold, and just perfect in the afternoon light. Fresh air purifies the spirit for kids and adults alike – and the change of scenery is a nice bonus for all. 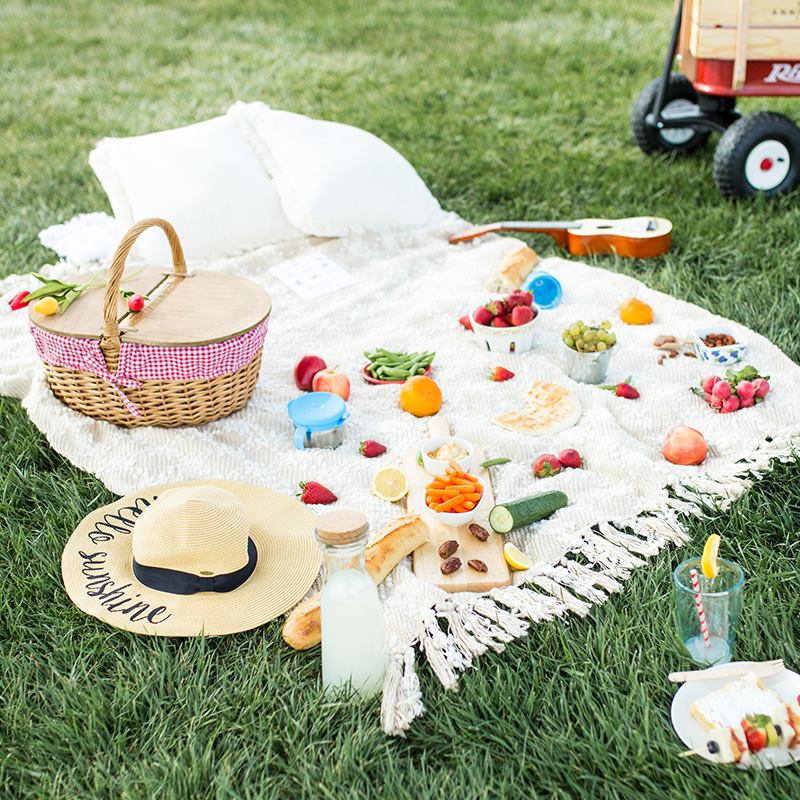 Whether you’re heading to the park, the beach, or your own backyard, here are a few of our favorite essentials for a kid-friendly picnic. Picnic Basket. You don’t have to go all out, but packing an actual basket with snacks and drinks makes it feel more like an exciting adventure for the kids. Look for an insulated picnic basket that’s big enough to hold everything your family needs. Designated Blanket. I keep a picnic blanket that rolls into a tote in my car at all times, so we’re always ready if an impromptu adventure calls. It has a soft top and waterproof bottom, which is super useful. Every time my kids see that blanket, they beg to go on a picnic. It’s like an instant reminder and invitation for fun. Spill-Proof Cups. 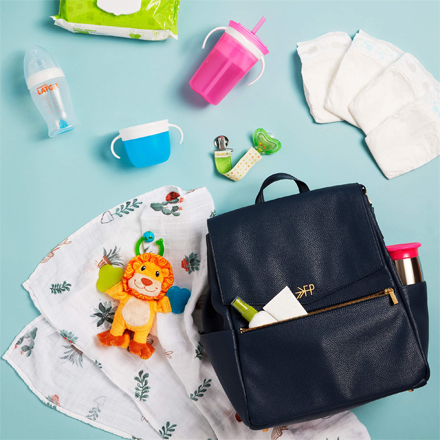 Regardless of what you pack for your meal, hydration is a no-brainer, and Munchkin has a whole array of kids’ water cups to choose from for every age and stage. 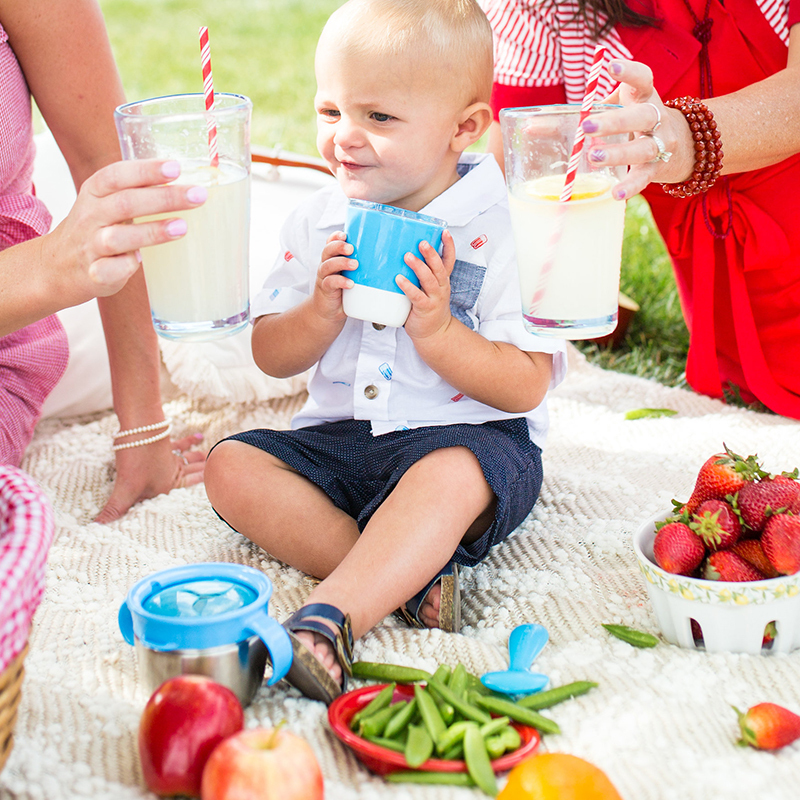 Our Miracle Cup is perfect for tossing into a picnic basket, since it won’t spill. A toast to picnic fun with your little one! Snack Catchers. Let’s face it, picnics are all about food that’s packable & snackable, so it’s essential to have containers that travel well. Our Snack Catcher collection is a must-have in your alfresco arsenal and perfect for everything from dried fruit and muffins to berries and grapes. Fun Tableware. Just because you won’t be eating at a proper table doesn’t mean you should ditch proper plates. Sure, you could always use paper plates, but colorful, BPA-free plastic dinnerware elevates the outdoor dining experience and cuts down on waste at the same time. What’s not to love? Wipes. 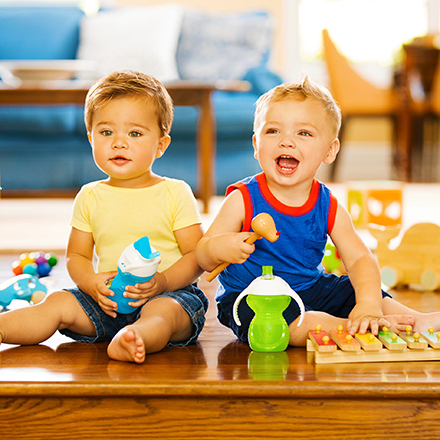 Kids are synonymous with messes, and to be honest, we take that as proof of curiosity, joy, and life being lived to the fullest. It’s simply inevitable, especially when you’re outdoors and there’s dirt nearby. We keep on a pack of gentle wipes in our picnic basket and in the car to tackle dirty faces and hands like a pro. Fall Foods. Now that fall is upon us, our favorite healthy pumpkin muffins (with chocolate chips) will be making plenty of appearances in our meal sessions, both indoors and out. Despite a lifelong love affair with fall, I’m relishing every chance we still have to get outside and recharge our batteries as a family. There’s something truly enchanting about dining alfresco – everything takes on a calmer air (when the kids are cooperating, of course). We love doing homework outside because it feels less like work somehow. And soon, when the light shifts and the leaves change color, you can have your picnic party indoors, too. It’s just as fun to spread out onto the living room floor. Cheers to dining out – at home!